In my photographic career I have not devoted a lot of time to the wetland areas and its wildlife. I feel better walking and photographing in the high mountains or in the deserts. But sometimes I also visit these places and enjoy it. 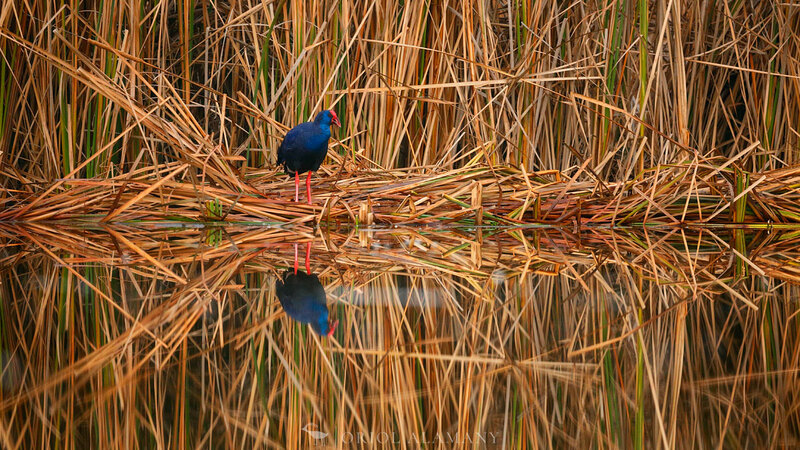 This Purple Swamphen (Porphyrio porphyrio) was photographed from inside a hide, in a Catalonia recovered lake, while testing a new telephoto lens from Canon.